Download your print PDF file of our menu here. All frittata’s are layered with puff pastry. A tasty way to get your protein in! Typical Italian way to start your day! A daily assortment of our housemade croissants and breakfast pastries. We currently are only catering for lunch events 12:00PM-2:00PM. We are unable to process orders on Saturday and Sunday. If you would like an order for Monday, we must receive the order confirmation by Friday at 3:00PM. Delivery is currently available ONLY throughout midtown Manhattan. Pricing varies based on location and size of the order. Minimum delivery charge is $25. Pick up is located at our Caffé located at 235 West 48th Street. Utensils, plates, napkins, glasses and chafing dishes can be provided for an additional fee. To cancel or to modify a catering order, we appreciate as much advance notice as possible. 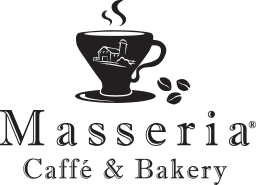 For orders cancelled or modified within 24 hours, Masseria Caffé will impose a 50% charge.